If you are interested in a class but do not see if listed here, please contact us with your request at info@carriegoller.com. We have heard your requests for semi-private classes (especially for those that do not have a group to join for the Introduction to Encaustic Gatherings mentioned below). Alternatively, we are offering a one-day semi-private (no more than three students) Introduction to Encaustic class! Dates to be determined between parties; classes normally run 10am to 4pm with a lunch break. Call 360-779-2388 or Email Carrie directly at info@carriegoller.com to set up a date for your class! 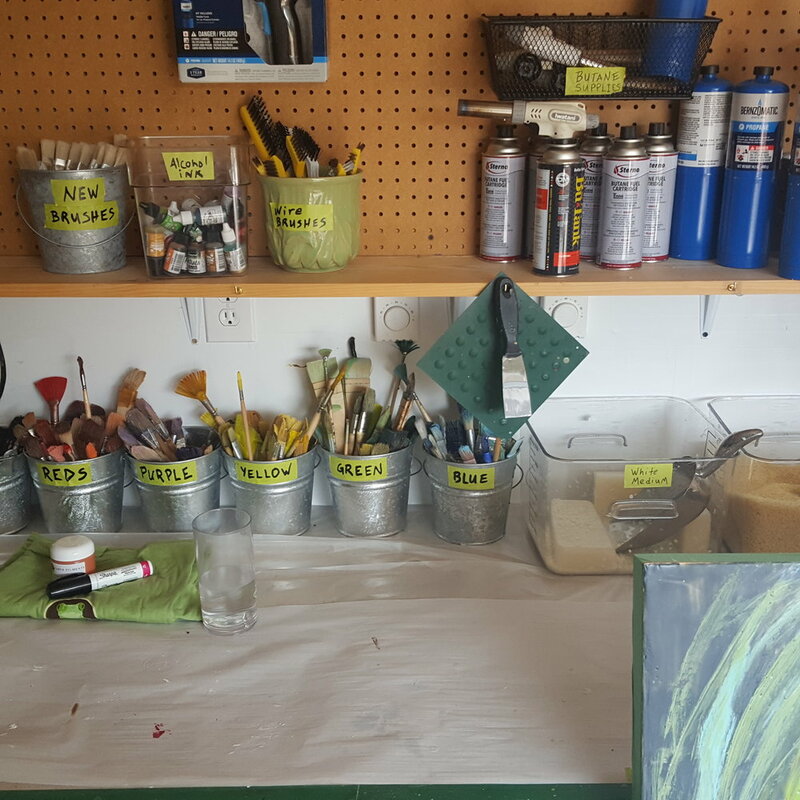 Have you ever wanted to try your hand at encaustic painting? Here’s your chance! For the first time, Carrie is hosting Introduction to Encaustic Gatherings . 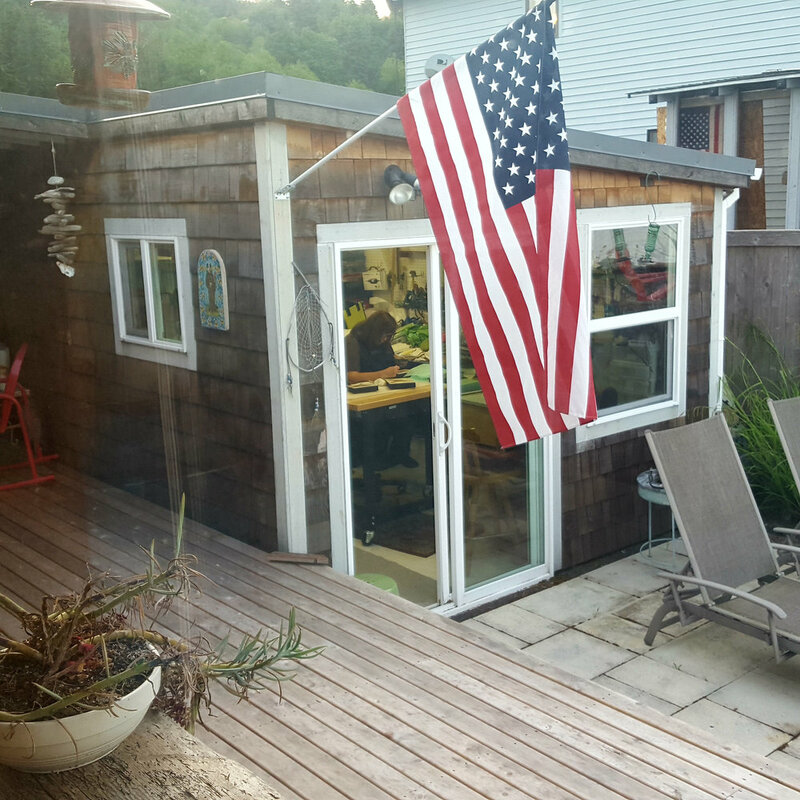 Enjoy an exclusive informal gathering of up to 4 friends for an introduction to encaustic led by Carrie in her home studio on beautiful Hood Canal- just 30 minutes from Poulsbo. No experience needed! Painting with wax and pigment is called encaustic painting. Carrie uses encaustic to create some of the pieces you’ve seen in her gallery. She will introduce basic encaustic techniques in a low-pressure, fun atmosphere. She’ll work with you at your level to help you create a piece of encaustic art. Connect with friends over a unique creative experience. 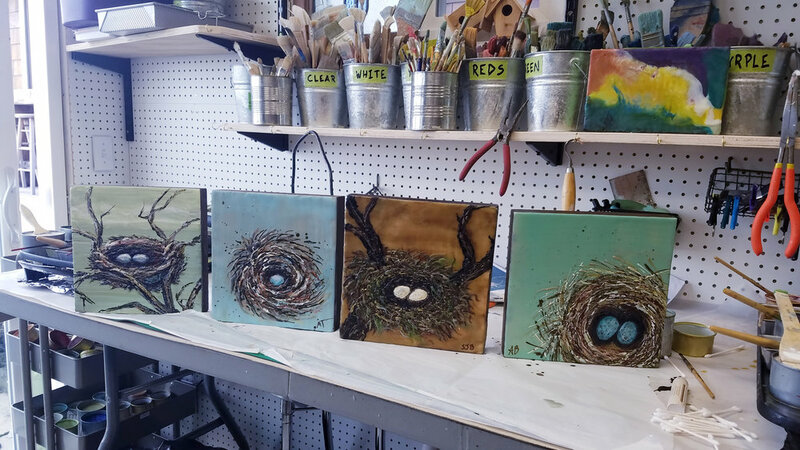 At Carrie’s Introduction to Encaustic Gathering, you’ll have the opportunity to work with the professional materials and equipment provided, without investing hundreds of dollars to purchase these supplies on your own. At your Introduction to Encaustic Gathering, you and your friends will learn the basics and leave with a painting of your very own. Call 360-779-2388 or Email Carrie directly at info@carriegoller.com to set up a date for your class! Is there other instruction you are interested in, besides encaustic? Carrie has also given the occasional event class on location, such as this holiday party acrylic paint class for a design/architect firm.